So here we are again at the end of yet another month wondering how on earth it passed by so quickly. A lot has happened in May, here in the UK we’ve been enjoying some gorgeous weather, it’s been my birthday and I finished 2nd year. Despite all this going on I’ve still managed to compile a list of favourites to share with you this month. 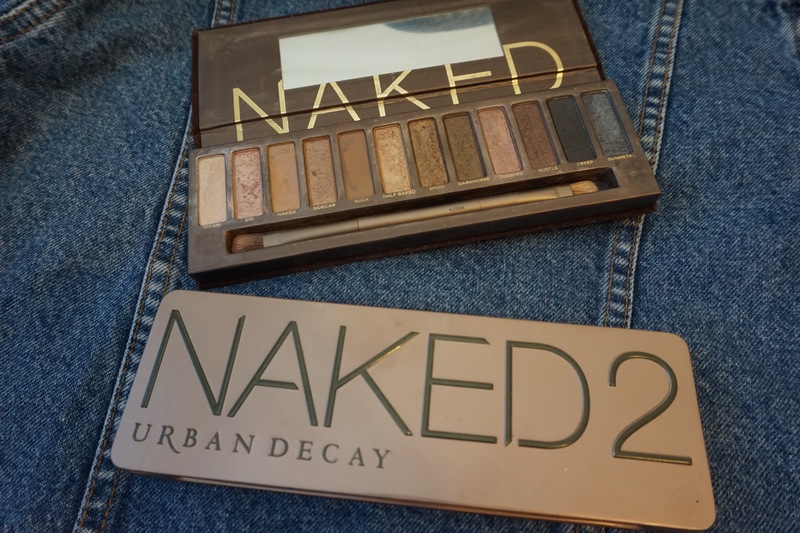 First up are some real oldies, the first proper makeup palettes or indeed any makeup items I ever got were the Urban Decay Naked Palettes. 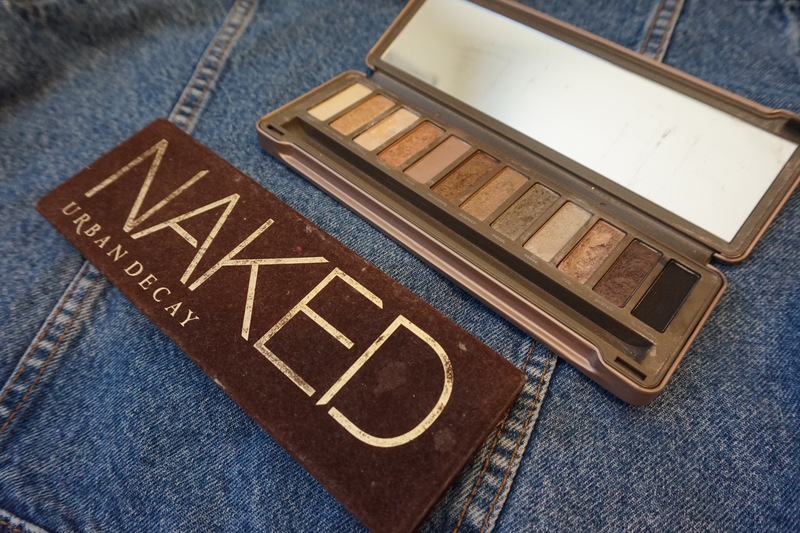 I collected all 4 and I loved them, more recently I have passed on Naked 3 and Naked Smoky to better homes as I never used them but I kept the original Naked Palette and Naked 2 as those were the ones I got most use out of. When my Zoeva palettes came along as the new kids on the block I kind of forgot about the Urban Decay cult classics in favour of my new warm toned palettes. However recently I have been making an effort to go back to my old faithful’s and I’m so glad I have, I forgot how versatile these shades are, either one palette on its own or, as I prefer to do, mix the two sets together for optimum colour choice. You can achieve a subtle daytime look for going to work or running errands or you can get a more full on, night out more glamorous look as there is such a good mixture of mattes and shimmers. My favourite shades at the moment have to be Toasted, Naked and Sin (Naked) and Bootycall, YDK and Snakebite (Naked 2). If you’re just getting into makeup or are looking to invest in one palette that will really serve you well, I would highly recommend one of these two. I’m here again with the favourites you can’t see again, this month I’ve been really into watching documentaries, I’ve found loads on Netflix and I’m a bit obsessed. My favourites so far have been The True Cost about ethical clothing and fast fashion, BlackFish about Seaworld and Minimalism about how having less can make you feel more. If you’re bored this summer or have no plans one evening I would suggest watching some of these as they are so interesting and you actually learn a lot more than you expect to. 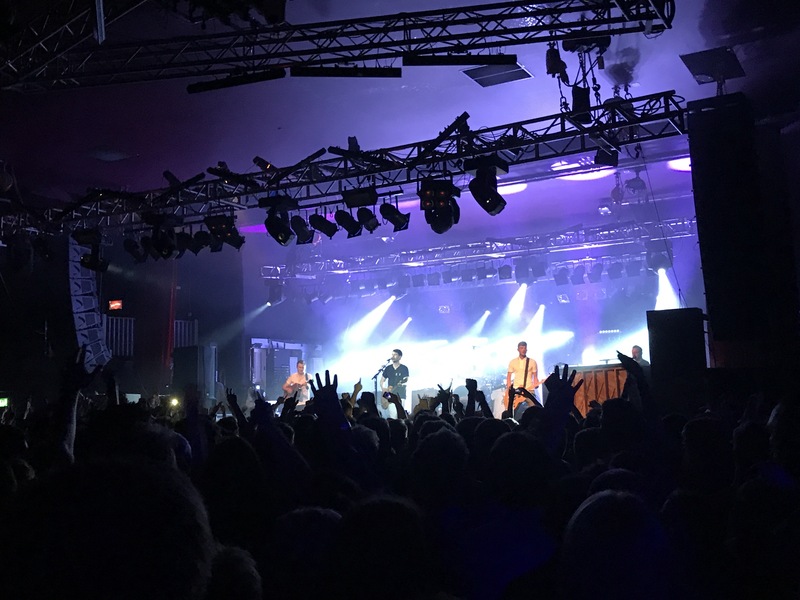 This month I have been to see my favourite band- Courteeners twice, the first time at the Sheffield o2 academy as a warm up gig for the second time where they played the Manchester Old Trafford ground to a much larger crowd. Both were amazing, Josh kindly bought my ticket for my birthday for the second show, there is something about Courteeners that just gets the crowd going and the atmosphere is incredible. I can’t wait to see them all over again as I can’t get enough of them. Another beauty favourite has been my Sukin Cream Cleanser, I picked this up on a whim at work and I’m really pleased I did, it smells like Terry’s chocolate orange, it’s vegan and cruelty free and its got no nasties like parabens and sulphates either- winner! I’ve been using this cleanser in the evening to take my makeup off and it does a good job, I’ve not noticed my skin getting any worse whilst using this, which sometimes happens when I deviate away from my Liz Earle Cleanse and Polish. There is quite a wide range of products from this brand which includes a range for sensitive skin so I might check out some of their other stuff when my other skincare is running low. You can tell I’ve got a lot of free time by the amount of tv and film I’ve been watching. 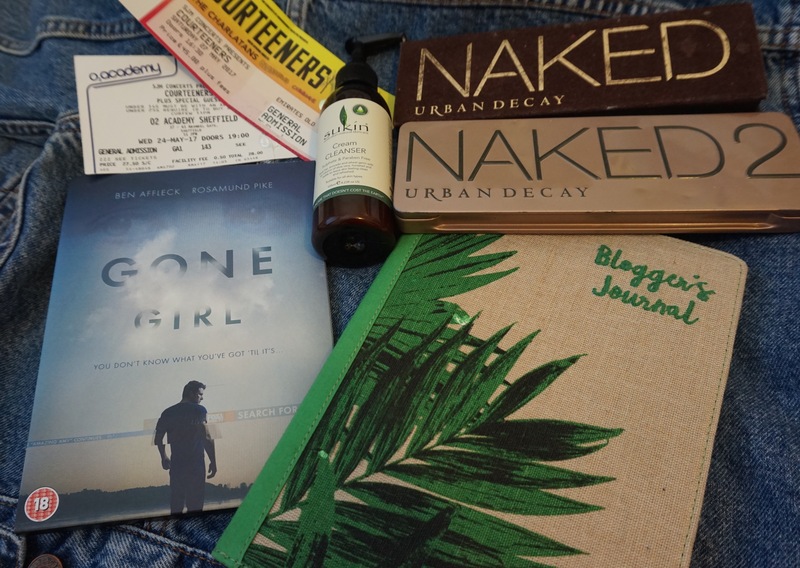 Some more on screen favourites are Gone Girl, I read the book last summer and I loved it because it messes with your head but I never watched the film for fear it would ruin the book for me. I finally bit the bullet and watched it and was pleasantly surprised. Rosamund Pike was the perfect Amy and overall it stuck reasonably close to the book which I appreciated. My other watchable favourite this month is Line of Duty, me and Josh watched the first 2 series in about 3 days as we were hooked- we are trying to find series 3 to watch before catching up with the most recent series 4 which has just aired on telly, so if anyone knows where we can watch it please let me know! It’s basically a police crime drama which follows the investigations of the Anti Corruption Unit and it is amazing! It keeps you guessing all the way through as to who has done what and if they are corrupt or not. If you’re after something you can get your teeth into I would highly recommend giving this a go as each season is only 5 episodes so doesn’t drag on forever. Finally my last favourite this month has been my new Blogging Journal, now although it doesn’t start until June I’ve been enjoying planning out when my posts will be and what they will be about, as I can see my whole year i’ve even been jotting down ideas for as far away as Christmas. This was from the Paperchase outlet store so I suppose you could probably try there or possibly on eBay but I would hope maybe they will bring out a new version this year so keep your eyes peeled! I’m excited to utilise this more as the year goes on but keep your eye out for a few more travel based posts again as we are edging back into holiday season at last! What have you been loving this month? Is there anything you think I should watch/ try out that I’m missing out on? Let me know in the comments if you have any ideas. I love Gone Girl and haven’t watched the film yet. So far I only tried only masks from Sukin but I hope to try more in the future so it is good to know the cleanser’s good. I also can’t believe it’s June in a few days! We’re almost halfway through the year already!! Gone Girl is such an incredible book! I read it within a couple of days. I thought the movie was okay except they vamped it up a little Hollywood style.